Looking for an old time market in our high tech society? Local and organic meat, dairy, honey and produce vendors offer their wares every Saturday at Chestnut Square near downtown McKinney and every Thursday in Adriatica on the west side of McKinney. Market vendors also offer sauces, canned goods, pasta, baked goods, wine and flowers! You wont be sorry you ventured out to see what the Farmer's Market has to offer. 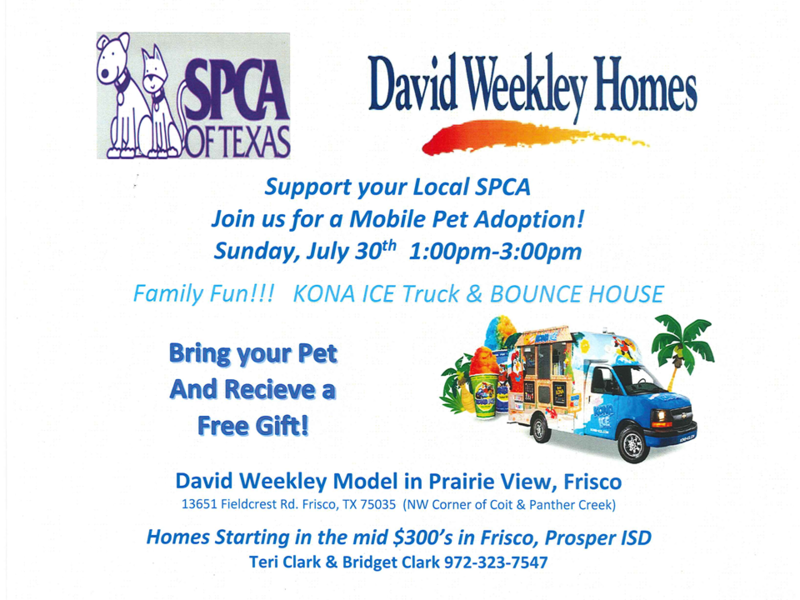 Come out and support your local SPCA chapter at their upcoming Mobile Pet Adoption Event! Fun for the whole family with the KONA ICE Truck & a BOUNCE HOUSE! Bring your pet to receive a FREE gift!